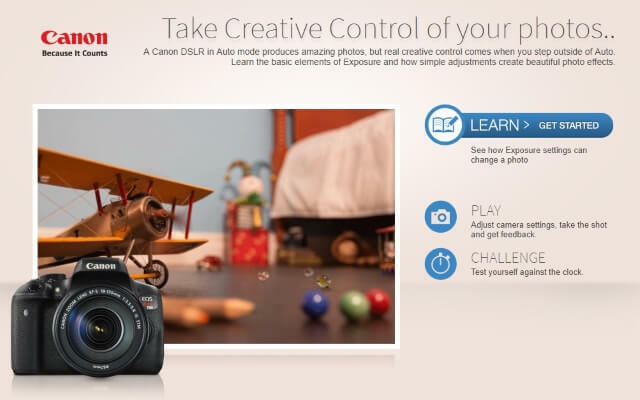 Nowadays, learning photography has never been easier. 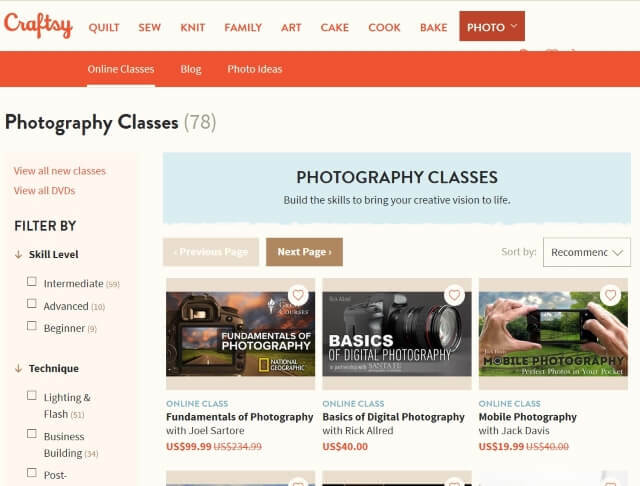 Thanks to today’s fast and unlimited access to online education, newbie photographers can learn the craft, and professional photographers can take their skills to a much higher level, they only need a computer and an access to the internet. Learn the basic elements of Exposure and how simple adjustments create beautiful photo effects. 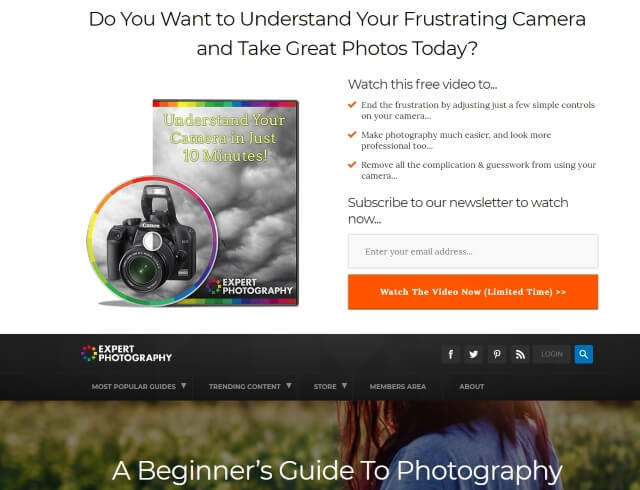 A comprehensive resource for beginning photographers. It Starts by explaining how a digital camera works and goes on to explain image composition, technique, and editing. Mostly in text format, interspersed with a few explanatory videos. 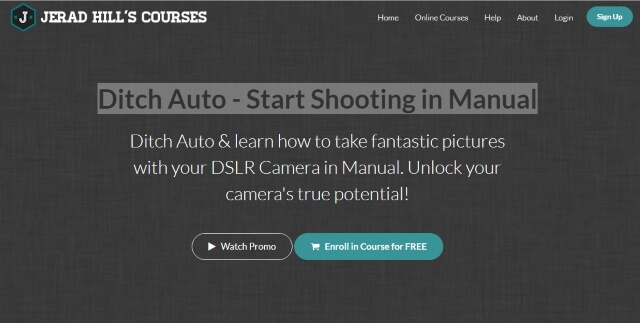 This highly-rated course teaches you how to use all the buttons and dials on your camera (e.g. 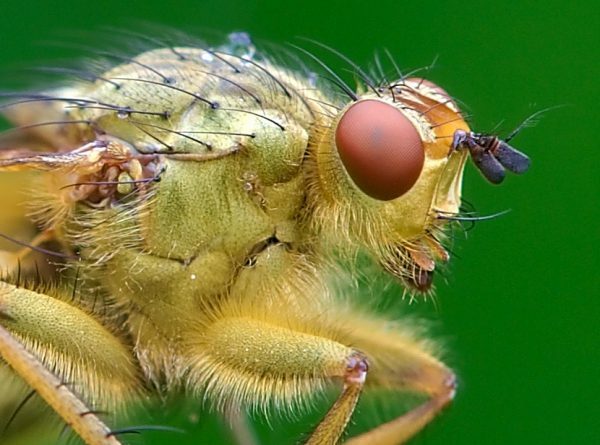 exposure, aperture, shutter speed and the mode dial) by doing rather than memorizing. 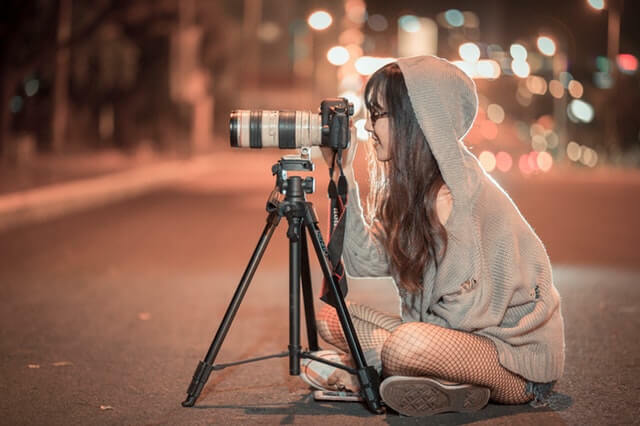 As the name suggests, a course for amateur photographers who have been using their DSLR or fancy Point-and-shoot camera in “auto” mode, but want to learn to unlock to its full potential. 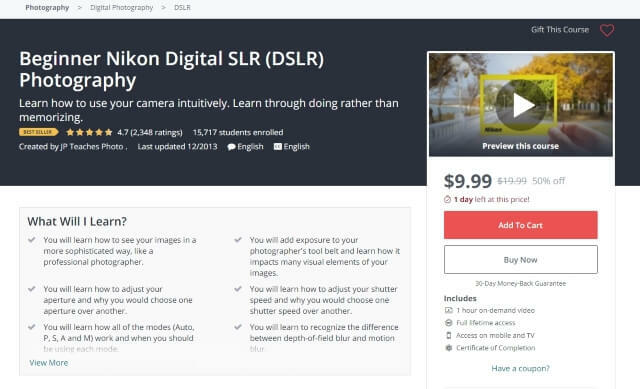 This Udemy course aims to make photography “simple” with 10 lectures and a total of 31 minutes of instructional videos. Celebrity photographer and cinematographer Corey Reese provides in-depth information about shooting in natural light and understanding manual camera settings (like aperture and shutter speed) for a wide range of photography applications. Canon Infobank is a must-read information resource for all Canon digital photographers. 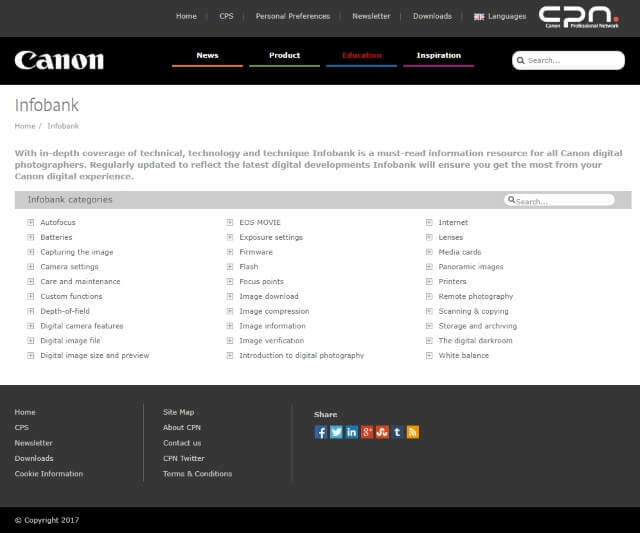 Regularly updated to reflect the latest digital developments Infobank will ensure you get the most from your Canon digital experience. 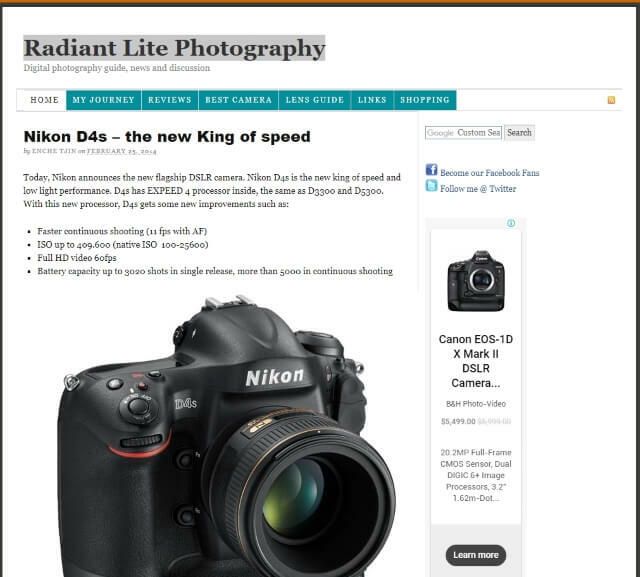 It has in-depth coverage of most technical, technology and technique of digital cameras, lenses, and accessories. 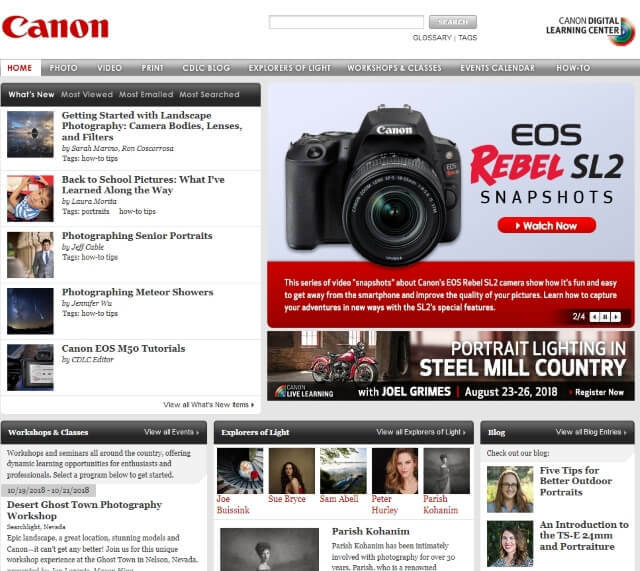 The site offers technical advice and tutorials for Canon users. 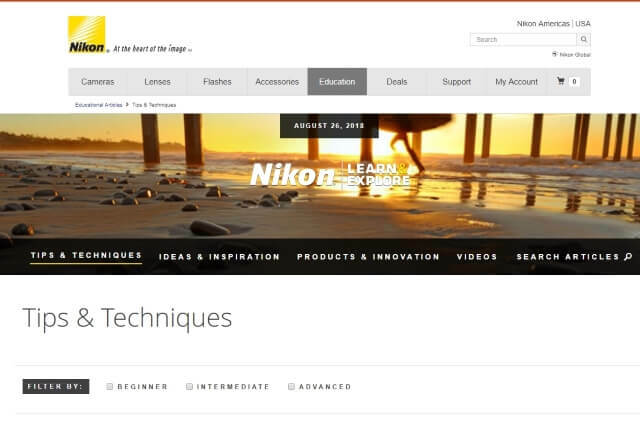 This is the official site of Nikon, it contains many learning resources and it is suitable for both beginner and professional photographers. 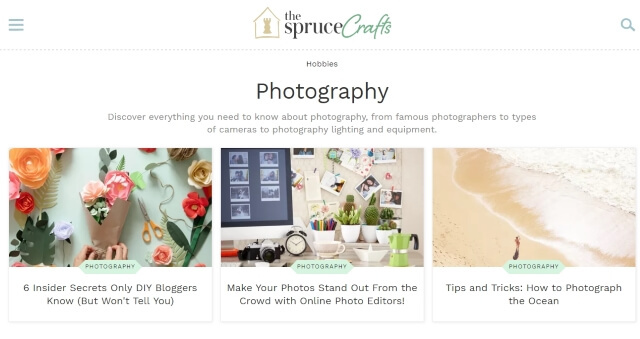 Whether you’re a crafting newbie or a seasoned professional, come and make yourself at home. Try a class, start a new project or just look around if you’re curious. Either way, we’re pretty sure you’ll find a friend. Annie was the first woman to be named chief photographer at Rolling Stone and the last person to take a portrait of John Lennon. In her first online class, Annie shows us that what makes a picture stunning isn’t the gear or technology—it’s the story. 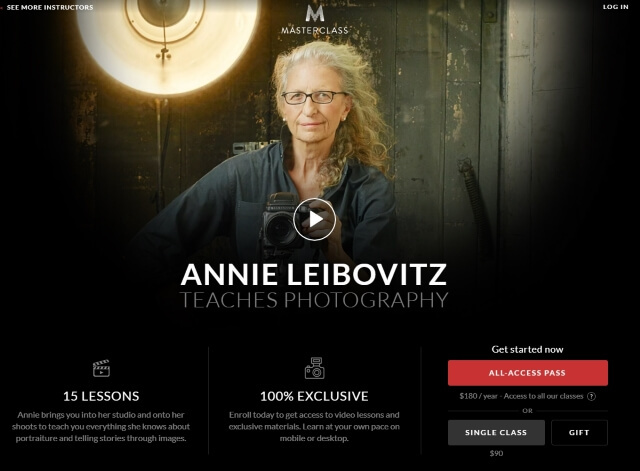 Annie teaches you her philosophy on photography—how to develop concepts, work with subjects, shoot with natural light, and bring images to life in post-production. 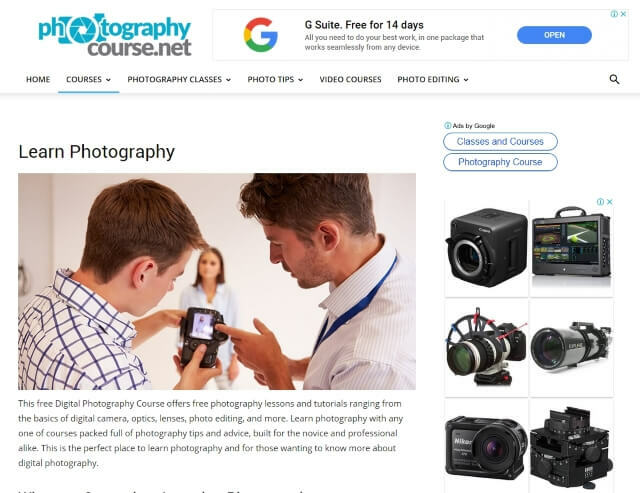 This free Digital Photography Course offers free photography lessons and tutorials ranging from the basics of the digital camera, optics, lenses, photo editing, and more. 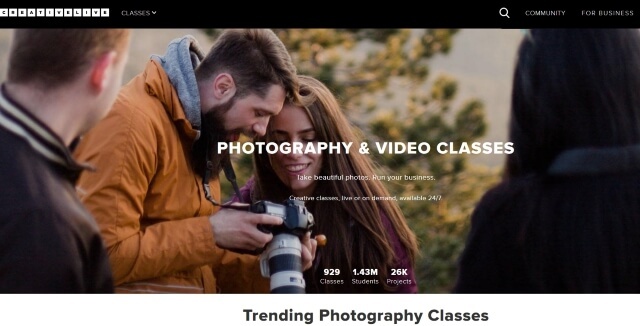 Learn photography with any one of courses packed full of photography tips and advice, built for the novice and professional alike. This is the perfect place to learn photography and for those wanting to know more about digital photography. 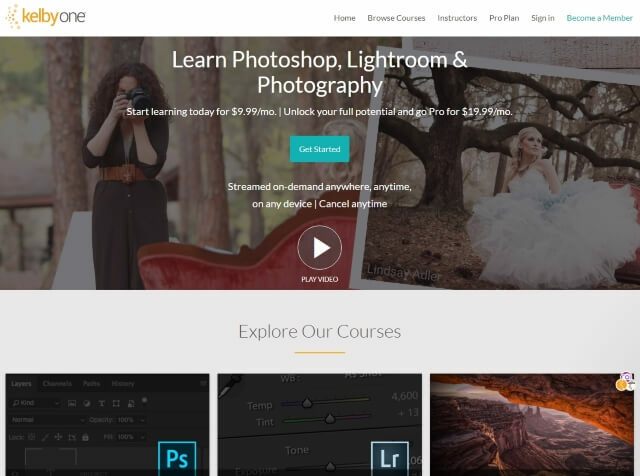 Kelby has long been an educator and author about Photoshop. 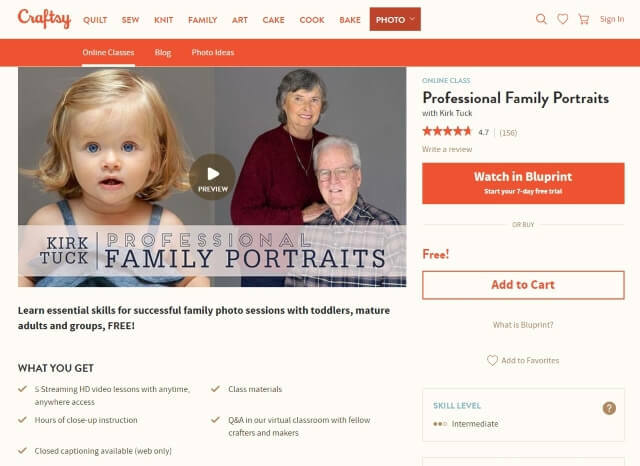 This website is a sister site to his membership site but offers plenty of great tips and tutorials about post-processing, lighting and making great images. The course offers advanced yet very doable strategies for taking flattering portraits as well as tips on how you can make your subjects (young and old) behave in front of the camera. 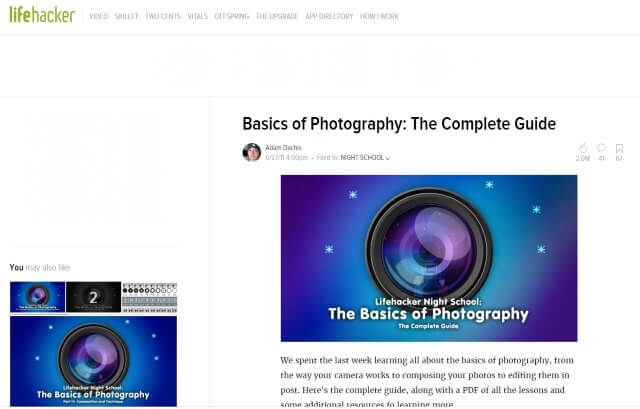 However, you’ll need to have a pretty good understanding of how cameras work in order to understand other lessons on image composition, exposure techniques, lighting equipment, and post-processing. The goal is for you to have a very good idea of how you can execute a pictorial—whether indoor or outdoor—for an entire family. 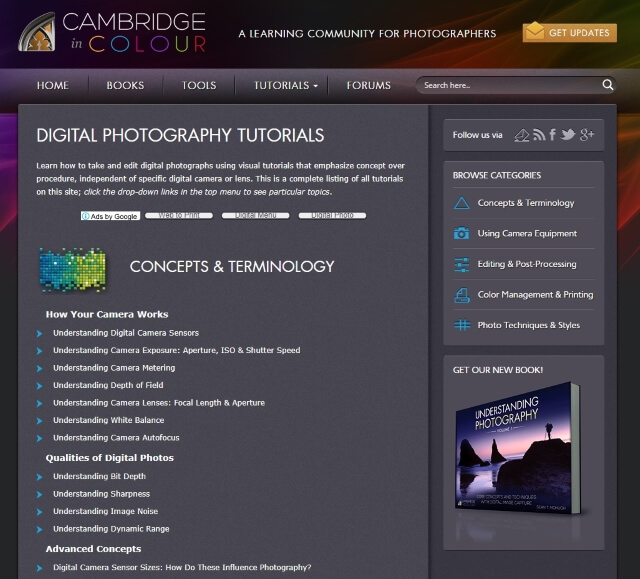 Cambridge in Color is an online learning environment where photographers can come to improve their skills. Since its founding in 2005, it has grown substantially both in content and in the number of visitors it attracts. 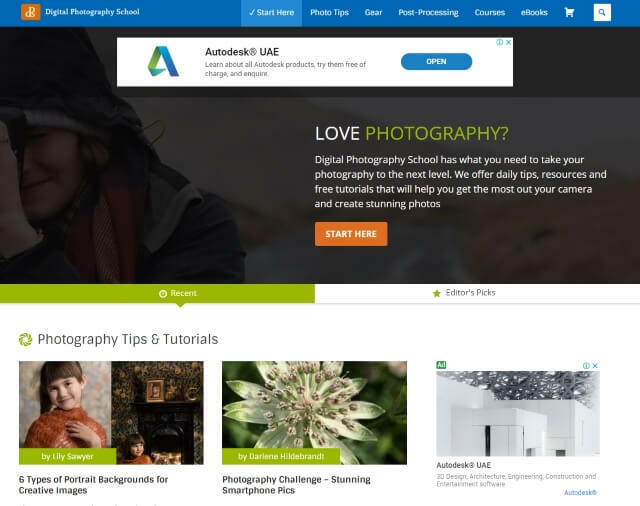 On any given day, over 20,000 different people are learning about photography and contributing in the forums community. Thank you to all those who have helped spread the word. 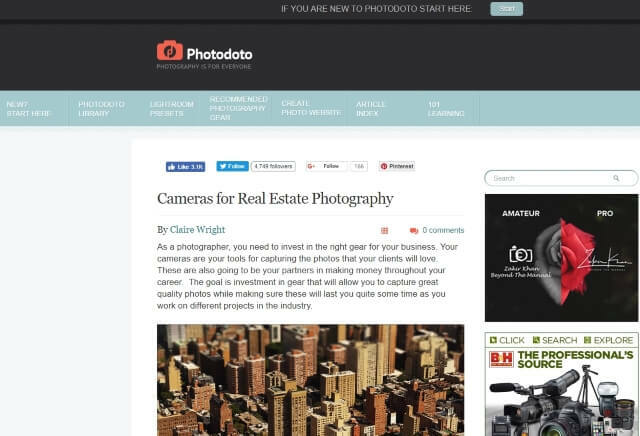 It is one of the oldest and most prestigious photography websites around. 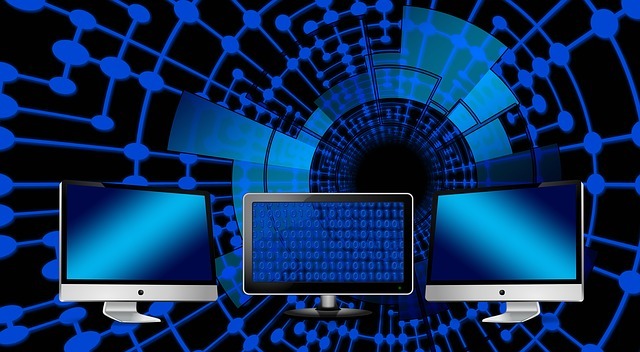 It is a website with a comprehensive series of technical articles. The site is suitable for new and advanced photographers. If you want to improve your photography skills and learn new cool tricks about shooting, processing and getting inspired. 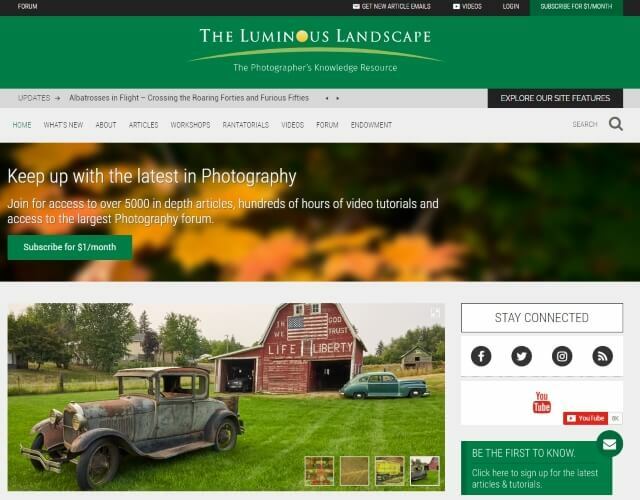 It is a very comprehensive photography resource. There are Lots of inspirational and informative articles. 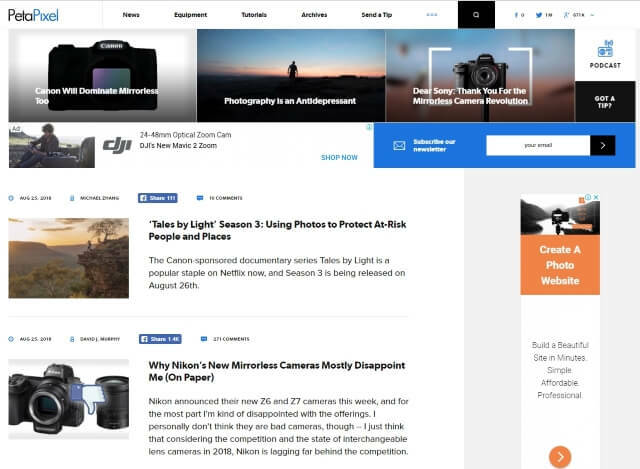 Digital Camera World is the world’s fastest-growing photography website, covering every aspect of image-making, from DSLRs and photo editing to mobile photography and drones. Through informative tutorials, no-nonsense reviews, and in-depth buying guides, DCW helps photographers find the best gear and shows them how to use it. Full disclosure: it’s one of our sister titles, also made by Future Publishing. Comprehensive reviews on just about every new piece of digital photography equipment released over the last few years. The first stop for anyone interested in purchasing new gear or understanding more about the features of what they already own. 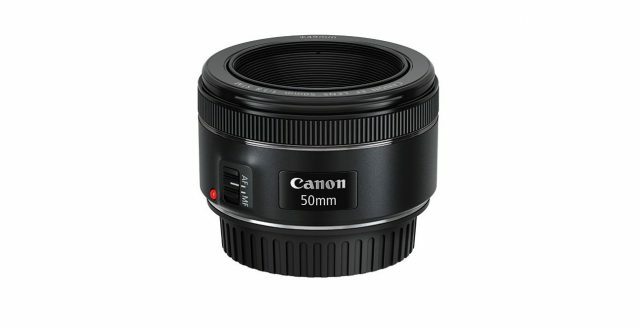 Cameras, lenses, and equipment reviews. Started in 2006 as a place for gear-lusting photographers, DIY Photography is a great place to pick up expert advice and read about the latest kit. 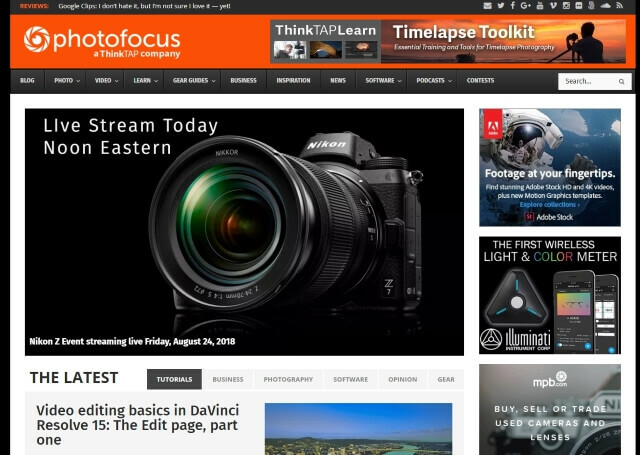 Again written by photographers for photographers, it’s heavy on the tutorials with hundreds of useful how-to articles online, plus a whole load of DIY articles that’ll help you build your own gear rather than splashing out on expensive kit. 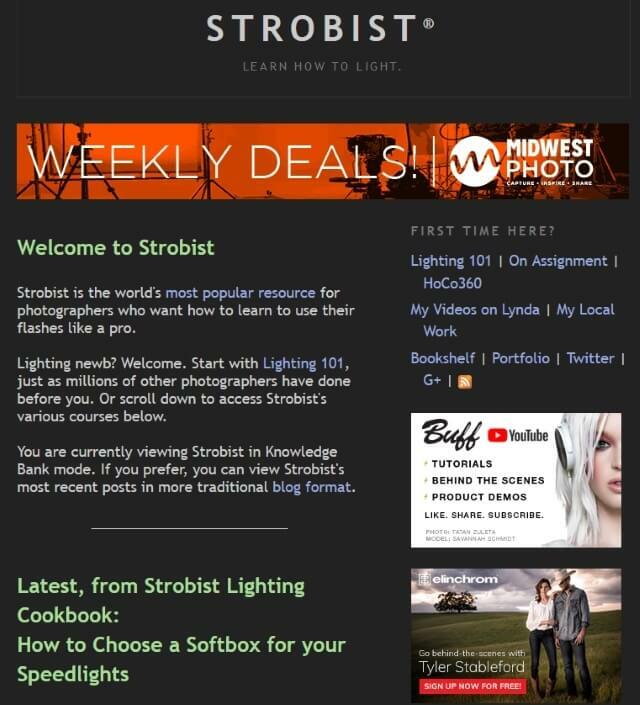 Strobist is the world’s most popular resource for photographers who want how to learn to use their flashes like a pro. PetaPixel is a website offering tutorials, news and kit. 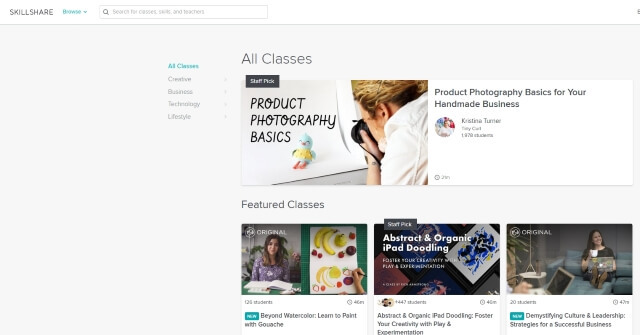 The tutorials are imaginative and practical, offering videos and screen grabs to guide you through each step. Equipment covers the new camera, lens, and other photography kit announcements, but doesn’t include reviews (you’ll need to look elsewhere for those). News covers all sorts of interesting developments in the photography world – both hilarious and informative. This site has some of the best tutorials and tips available free of charge. The site is structured into wonderful learning centers and has a very intuitive look and feel to it. 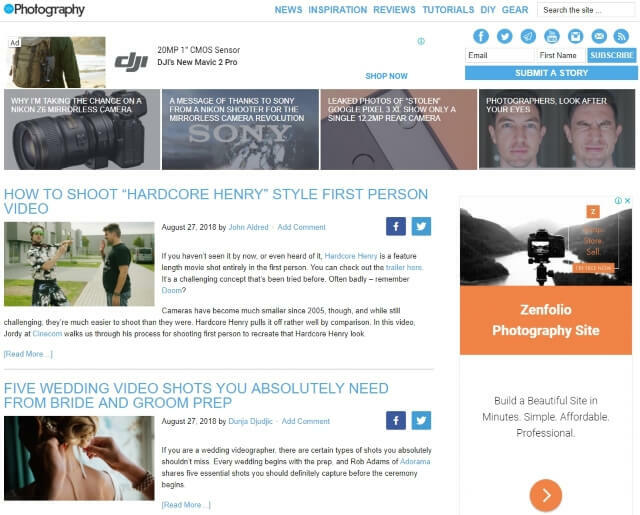 Features guest bloggers writing about tutorials, gear, marketing for photographers and smart-phone photography. 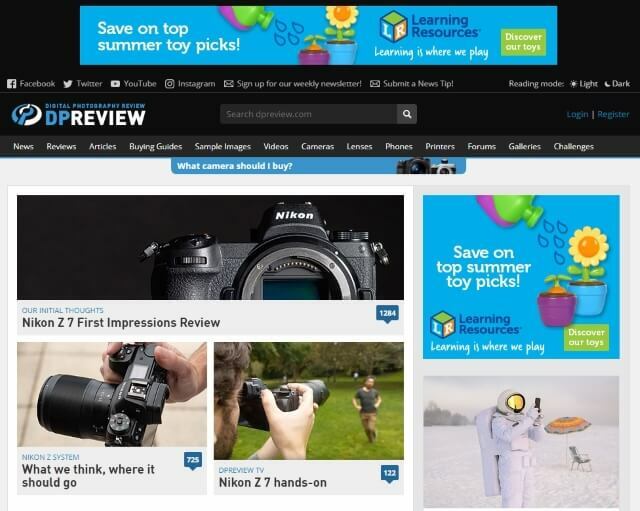 This site is very geared intensive with the latest news and some reviews. 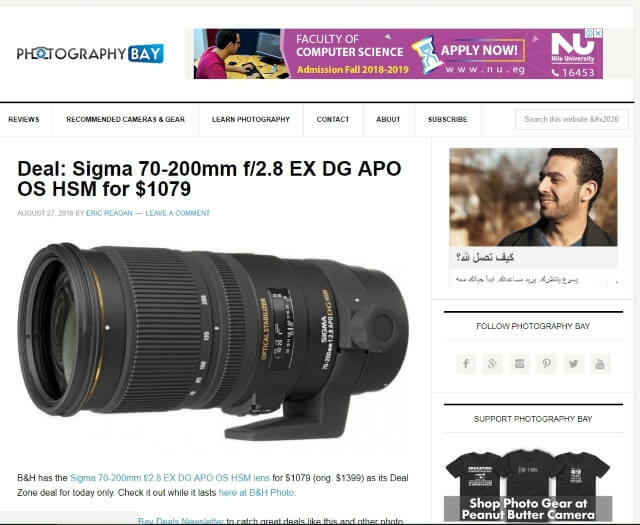 Features good educational material but the main focus of the site is on the latest and greatest in digital photography gear. 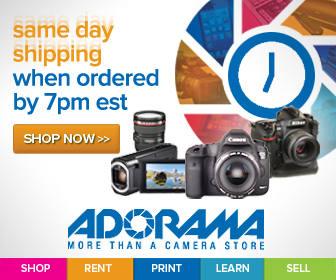 The DxOMark is a very good site that provides camera and lenses evaluation and reviews. You can simply compare different types of lenses and camera bodies with respect to their performances. 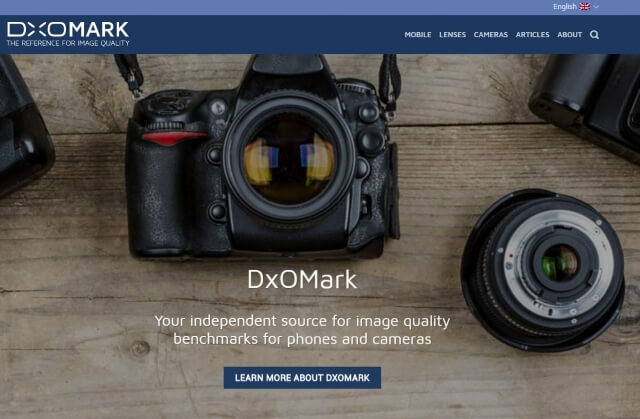 Established in 2008, DxOMark is an independent benchmark that scientifically assesses image quality of smartphones, lenses, and cameras. The result of a rigorous scientific protocol using industry-grade lab tools, the DxOMark score sums up our assessment of a devices’ photo and video quality. The higher the score, the better the image quality is. DxOMark tests camera sensor, lens, and mobile device in a dedicated camera testing lab that is equipped with test targets, lighting systems, light-boxes, light-meters, telemeters, spectrometers, and other specialized equipment. DxOMark has carefully designed all test protocols to be bias-free and to ensure repeatability of measurements. 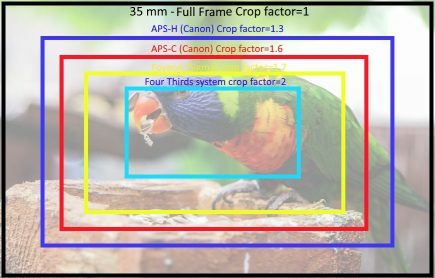 Below you can find brief summaries of DxOMark camera sensor, and lens test protocols. 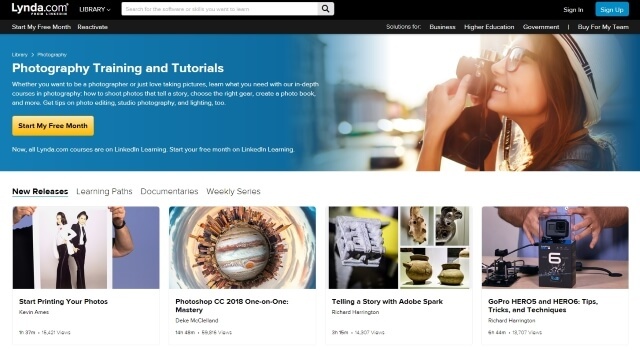 Although I have tried hard to make a full list of online courses and useful photography websites, I feel that there are more and more resources to cover. My final conclusion is that it all depends on your continuous desire to learn and excel at photography. 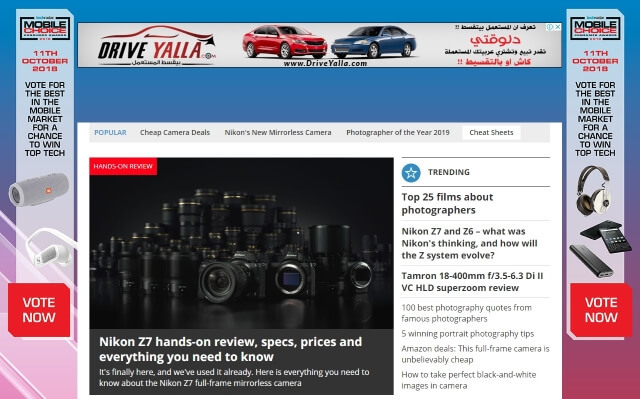 Amin, you have done it again with this very comprehensive listing of online websites/platforms where virtually all aspects of digital photography can be accessed. I was so impressed reading through the resources, and as with several other pages I have looked at today on your site, I passed this on as well to my team. There are actually more than a few that I will be tapping into myself, as I am nowhere near to where I want to be when it comes to digital photography. I know that even though it is a hobby that sometimes seeps into my business (we have used some of my shots for business) I can do better (as can my team folks). I consider education (and experimentation) as an investment, in myself and for the company. I do not mind paying for some courses for team members as I know that it will pay off in the long run. Obviously, there are limits (budget), but you have inspired me. As a part of our professional development program, I am going to be adding in some courses from the sites you have included here. Team members have varying levels of competency, from little experience to lots of it, so I may have to tailor the training by skill level. 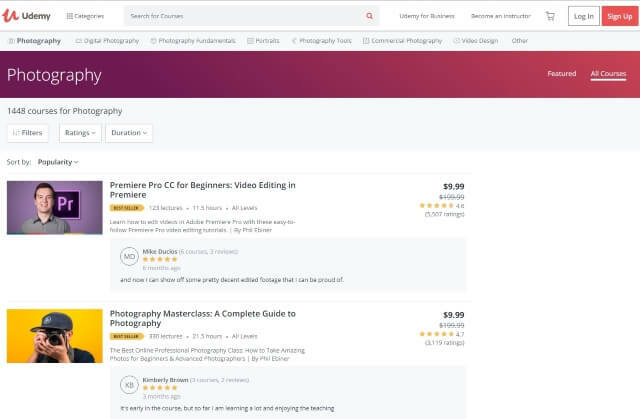 Which of these websites/courses do you recommend as the best ones for the beginner, adequate, or experienced photographer? I would like to have a look at these to see how the company can arrange to get them added to our training program. Thanks, and as I have said in my many other comments today on posts I have been reading through on your website- you are a natural teacher! Thank you for your nice comment, I agree with you, education and learning are the best investments for both individuals and organizations. I can’t honestly answer your question, because choosing the right courses and lessons depends on many other factors such as cost and time. I’m sure with your administration experience you will be able to pick up the most appropriate one for your stuff. Thanks again for your comment, I’m very glad to hear from you. I’ve always been impressed when I see skilled photographers outside. There’s this passion they portray when they handle the camera for pictures or videos. I also wanted to learn but didn’t seem to have the time for one on one lessons. Thanks to the internet now, I can learn online.